RUSH: Say, how many of you remember the name Greg Craig? It probably rings a bell out there. Well, he was just indicted. 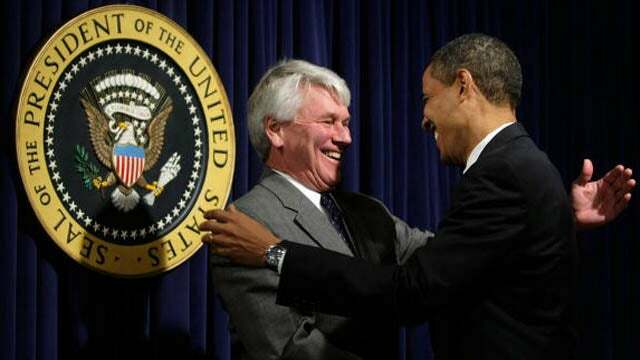 Greg Craig was just indicted for false statements involving his dealings with Ukraine. Man, oh, man! You talk about Trump-Russia collusion? Look at all of these clowns that were messing around with Ukraine. The Clintons were messing around in Ukraine. Manafort was. But Greg Craig? Greg Craig? Pfft! This is this guy is a left-wing Democrat near the top of the pecking order. He’s in Richard Ben-Veniste territory. And this guy being indicted? This is big! Obviously, this guy’s a throwaway. This guy’s being indicted to show that the establishment will also go after Democrats. But here’s the thing about Greg Craig. He is an uber-left-wing leftist guy. He was instrumental in making sure Elian Gonzalez was sent back to Cuba. He worked very closely, as close as anybody wanted to get, with Janet Reno when she was the attorney general. You’ve forgotten that. But Greg Craig was right in there in this whole mess with sending Elian Gonzalez back to Cuba. Remember that, Snerdley? We’re looking at this and we’re laughing ourselves silly because, you know, we’re trying to get an idea on who’s really running the Obama regime, and there’s Greg Craig. This guy’s been indicted today by federal Department of Justice people? It’s a… (sigh) You don’t see this! You don’t see these guys being indicted. You see their secretaries being indicted. You see their, you know, tennis coaches and so forth at the club being indicted. But not them.